If you’re fresh from the West, you may be surprised by how different Japanese houses can be from what you are used. No matter what country you are from, your home says a lot about you and your culture. 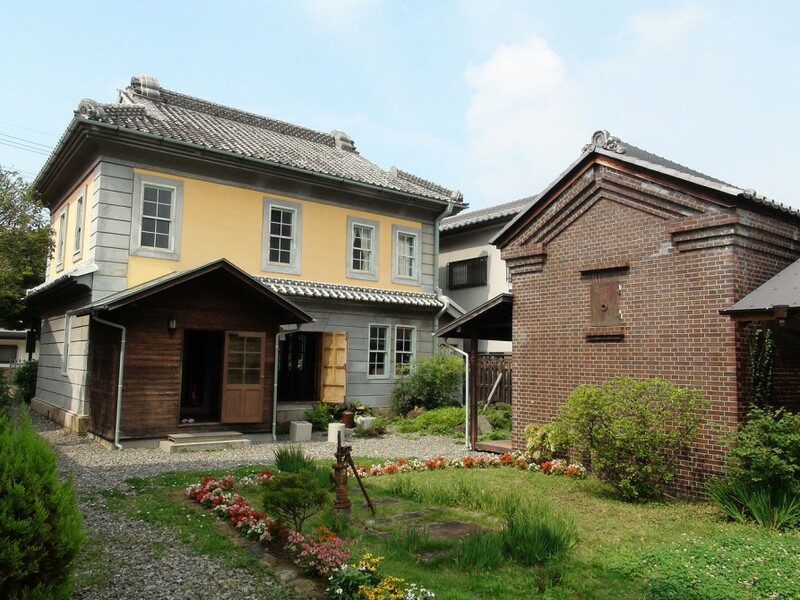 Japanese houses come in all shapes and sizes; from huge family houses, to tiny Tokyo flats, this list will try to look at both sides of Japanese housing and compare it what we may be accustomed to back home. As a Brit, there may also be differences between our homes too, so try to keep that in mind too. Let’s start with the very first place you will see as you enter a Japanese house. A genkan is similar to a cloakroom. 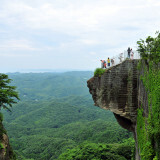 It is the place where people take off their shoes and hang their jackets. Japanese houses all require you to take off your shoes here. Putting your shoes neatly together, facing the door is Japanese custom. You should also notice a small step, once you’ve stepped up it, you have left the genkan and entered the house. When entering someone else’s house, the phrase ‘O-ja-ma-shi-ma-su’ is usually said (to no person in particular but so it can be heard). This can be loosely translated as ‘Sorry for intruding’. 露天風呂付き特別室のお部屋 | Flickr – Photo Sharing! Most Japanese houses, with exception to small flats, will have a tatami room. 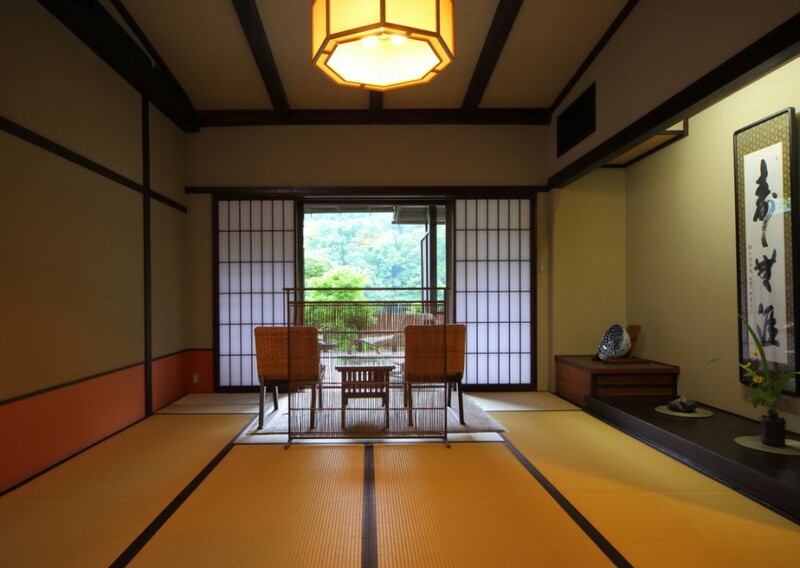 These tatami rooms are strongly associated with Japanese culture. Instead of floor boarding or carpet, the floor is covered in a special type of mat traditionally made of rice straw. These straw mats should be treated with care, and compared to normal flooring are quite soft, which is why it is common to sit on the floor in these rooms. Although softer, those unaccustomed to sitting on the floor may get uncomfortable after a while. 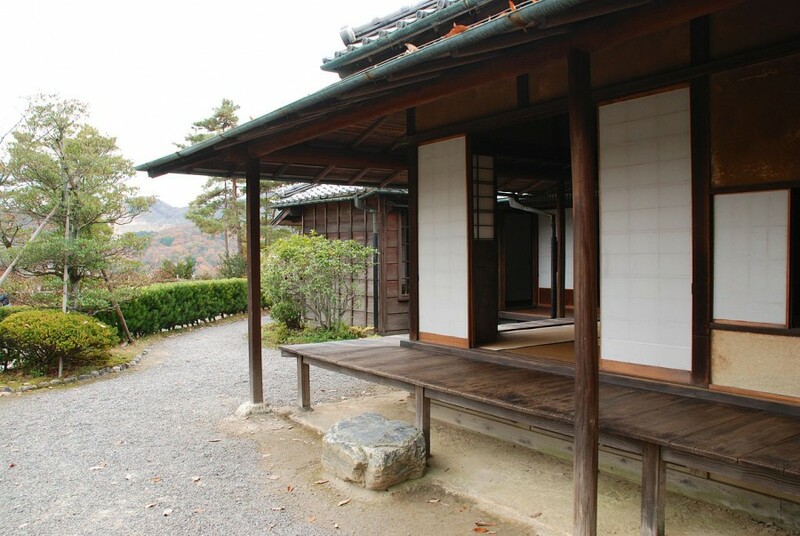 Tatami rooms are often fitted with ‘shouji’, a sliding door, and walls that made of a thin sheet of paper. Japanese houses will always have a separated toilet and bathroom. The toilet room will be similar to what you are already used, however the toilet itself may have a few more buttons than you are used to. Bidet spray, water spray, blow-dry, temperature control are a few of these, but don’t worry as the buttons are labelled with easy to understand pictures. The bathroom will have a shower on the wall which is unhooked and used to wash yourself before you enter the bath. The floor will have a drain for the shower water. The bath may not be as long as you are used, but it will be quite deep. The bath is designed for relaxing and you should avoid getting the water soapy. The type of bedroom will usually depend on the type of house. 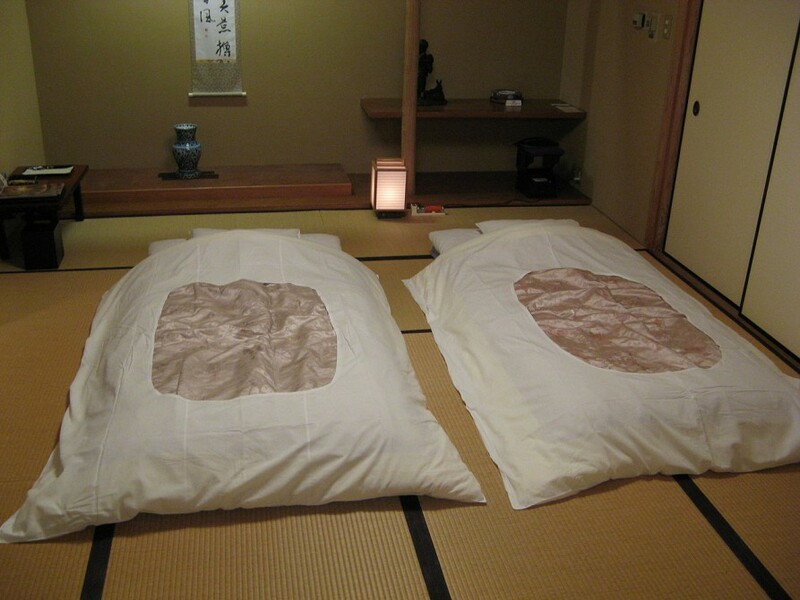 In a large, traditional house, the bedroom will probably also be a tatami room. There will be no beds, but a type of mattress-blanket called a ‘futon’ that can easily be put away into a cupboard after it has been used or cleaned. In a Western style house, there may be very few differences to what you are used to, or depending on the owner, it may be a Western style room which still has traditional Japanese feel in places. Due to strong typhoons, the windows on Japanese houses may have storm shutters to protect from violent winds, particularly in the rainy season known as ‘tsu-yu’. Naturally, there is a large variety of sizes when it comes to Japanese houses. However, there are some points worth mentioning. Far out in the countryside, there are many old family homes. These traditional style homes are often very big with only a single floor. In modern times, the amount of families that return to these old homes full of generations of family history is decreasing. Mainly due to there being little work out in the countryside, many of these homes become vacant when the elderly residents pass away, the children being unable to return due to work. In contrast to this, due to the overwhelming amount of people that move towards the major cities, overpopulation has led to the development of many small flats. And when I say small, I don’t mean small compared to America – a country with endless space. 1DLK rooms have become increasingly popular in Japan. These are flats that come with 1 room that is a joint dining room, living room, and kitchen, and of course a toilet/bathroom. However, you can find even smaller places than a 1DLK if you look hard enough. 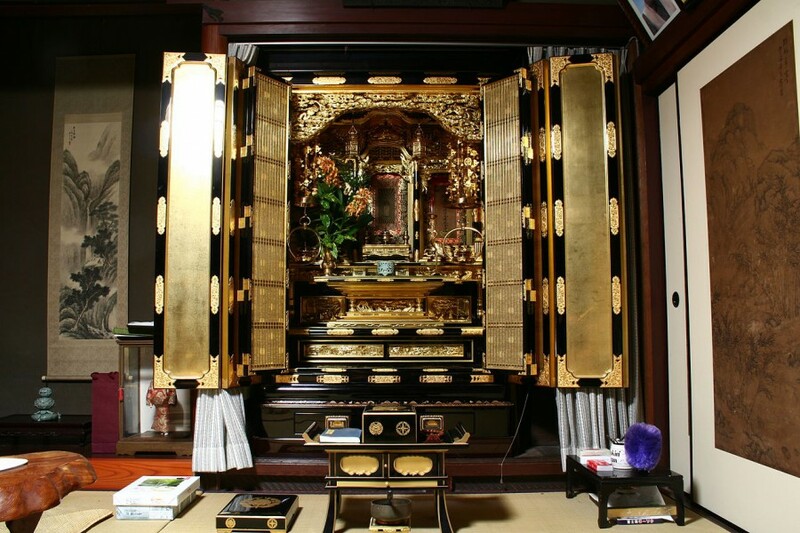 In many Japanese homes, you may see a shrine known as a ‘butsudan’. A butsudan is a wooden cabinet with doors that enclose and protect a religious icon, typically a statue or painting of a Buddha. Incense and candles are often placed inside too. Traditionally, the cabinet would remain closed except for religious observances. It is also common to place pictures or remembrances of deceased relatives near the cabinet. There may also be a religious plate for making offerings of rice, tea, or fruit. It can be very interesting to see such a religious place within a normal family home. Whilst most house near the big cities will have little to no garden, the houses in more spacious areas can truly be astounding. You can see many gardens that have had countless hours of work put into it, with an arrangement that has carefully been pre-planned. Unlike Western gardens that may have a large variety of plants and trees, the Japanese garden prefers to use a small variety, carefully growing and shaping them to create a garden with a relaxing and spiritual ambience. Common trees include the Japanese black pine and Japanese cedar. Gardens may also feature stone statues and alters. 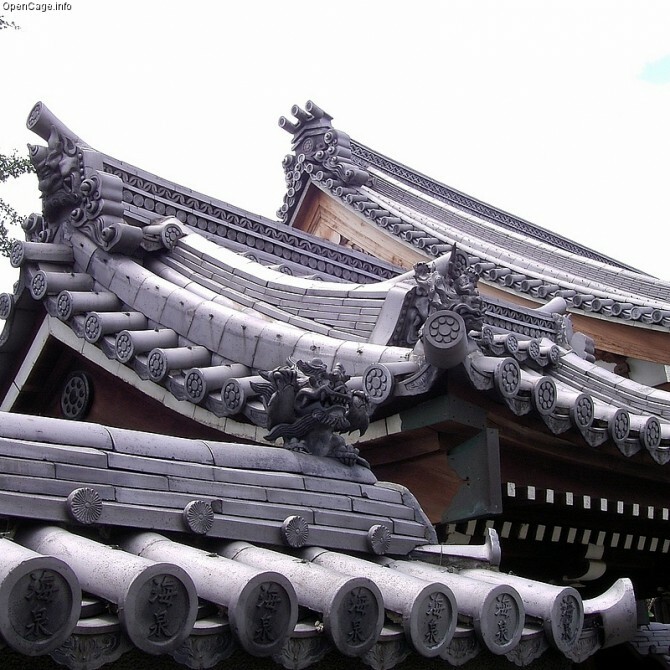 There are three major types of roofing in Japan. The first is the same as Western roofing with a pointed shape and roof tiles. 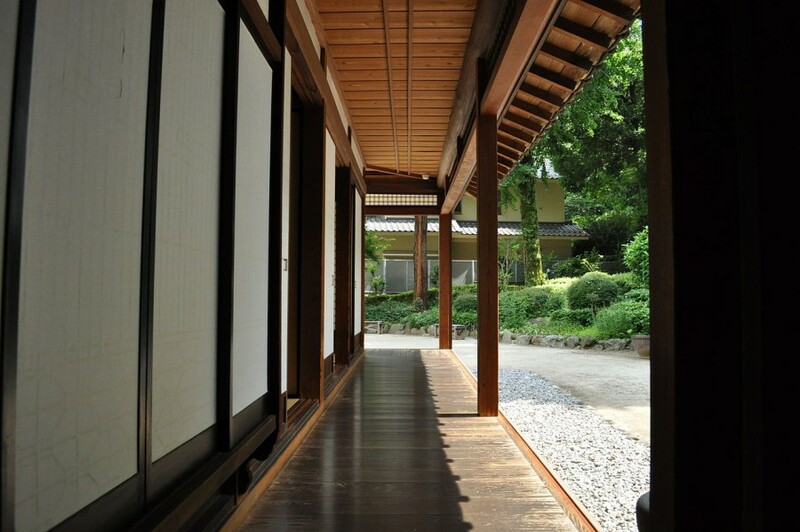 There is also a completely flat style on many modern Japanese houses. The most interesting however is the Japanese tile style, this is the same style as you can see on many Japanese temples. On the large, older buildings of Japan, a heavy stone tile is used that lasts for many centuries. 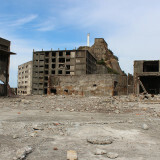 However due to their immense weight, it is usually the structure of the building that needs to be replaced before the roof. In the past, roofs made of rice straw were also common, although today they are somewhat rare. Kotatsu are one of my favourite things. | Flickr – Photo Sharing! 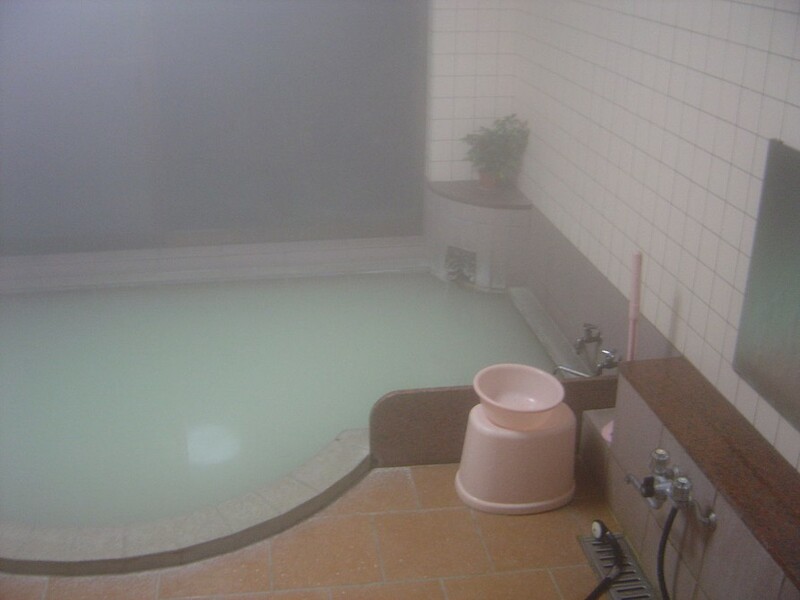 Central heating in Japan is very uncommon, and yet it can get very cold, particularly in the north. So why, with no central walls are they using literally paper thin walls? Well, we can assume it was more important to keep cool in the humid Japanese summers, than the cold winters. So how do they keep warm today? Well, the majority of houses will have an air conditioner-heating combo in their house. As well as this, it is very common to see ‘kotatsu’ tables appear in houses when the temperature drops. Kotatsu tables are a low table covered in a blanket that drops down the sides. Inside the table is an electric heater. During cold winter nights, families will often sit with their legs under the table, keeping nice and warm. Chocolate from LA! | Flickr – Photo Sharing! 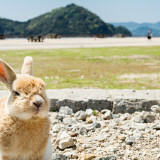 Wondering why you haven’t been invited to your friend’s house in Japan? Don’t take it personally, going to someone’s house in Japan is not as common as in the West, even if it is only to ask for someone. Although the ways of modern day Japan are changing, there are still many who may not invite people to their house except for the occasional family member. Similar to the American tradition of bringing a bottle of wine or something as a gift when you go to a friend’s house for a meal, Japan also has a similar custom. 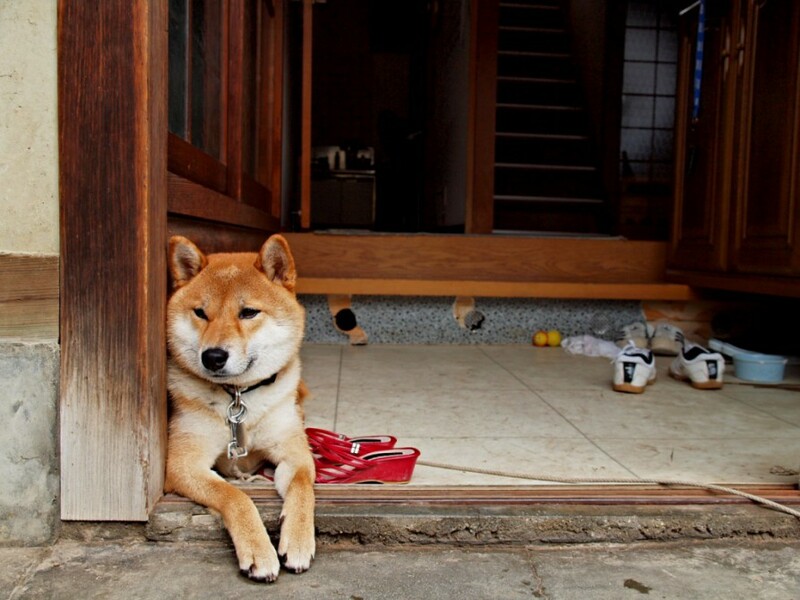 When visiting a Japanese house, you may be expected to bring a gift. 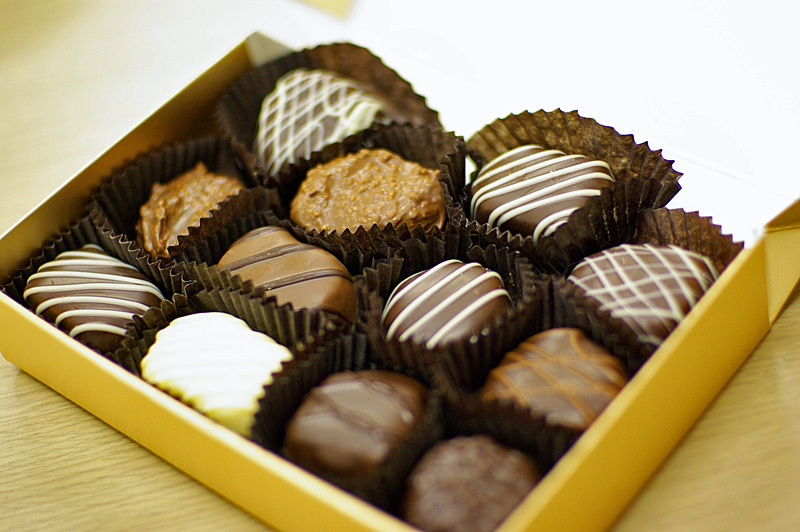 The gift is usually some stylish sweets or cakes. Ideally, there should be more than enough for the whole family, and the gift shouldn’t be bought in the same neighbourhood as the house you are visiting. This completes this guide to Japanese houses. You may think it is a lot to remember, but try not to worry about it too much. As someone who is new to the traditions and culture of Japan, you will likely be treated with warm hospitably despite any small mistakes you may make. So the next time you visit a Japanese house, see if you can spot any of things I mentioned! If you remember some of the Japanese words like ‘ojamashimasu’, ‘kotatsu’, ‘butsudan’, and ‘shouji’, I’m sure you will be able to impress your Japanese friends and get many compliments! 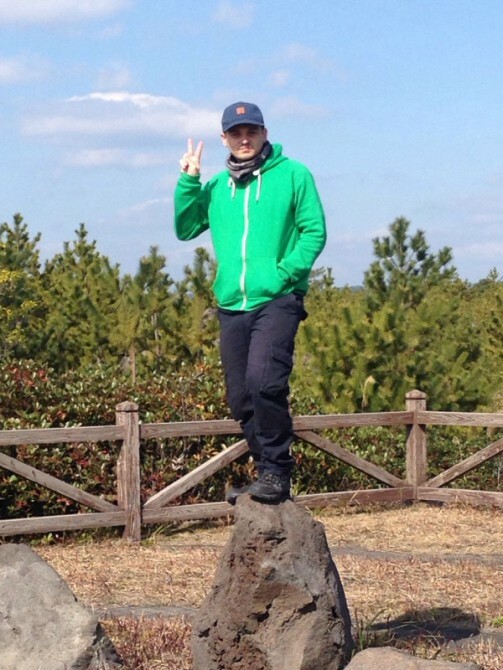 Japanese language student living in Kagoshima, Japan.